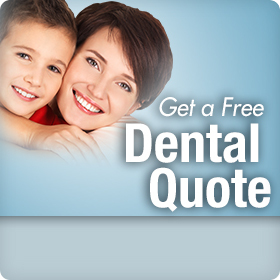 Dental Insurance: Will It Cover Teeth Whitening Procedures? It’s only natural to want a beautiful smile, but many of us wish our teeth were a bit whiter—not only for vanity’s sake, but because people naturally are attracted to nicer smiles with straighter, whiter teeth. According to an American Academy of Cosmetic Dentistry survey, 99.7% of those surveyed indicated that an attractive smile leads to social advantage. Moreover, 74% felt that an unattractive smile can interfere with career success. With today’s whitening technology, it’s no longer necessary for people to live with stained or yellowing teeth. Bleaching is a safe, effective way to quickly brighten and whiten drab, discolored teeth. Because bleaching isn’t necessary for dental health, however, most traditional insurance plans don’t provide coverage. A dental discount plan, on the other hand, can reduce out-of-pocket expenses, making tooth whitening an affordable procedure. Bleaching can correct internal staining due to genetics, age, trauma, certain antibiotics or ingesting too much fluoride and also external staining caused by coffee, tea, foods, or tobacco. When contemplating a bleaching procedure, dentists will want to evaluate each situation in order to recommend the best treatment. There are a number of ways to whiten teeth, but the safest most effective way is to use one of the following dentist-supervised techniques. In-office bleaching is most often done in one visit. With this procedure, dentists apply a bleaching agent directly on each tooth and uses a special light or laser to activate the whitening agent. This is usually the most expensive option, with costs ranging from $600 to $1200. At-home bleaching is accomplished when dentists make special trays to fit a patient’s mouth along with a bleaching gel and instructions on how often and how long to wear. Results are not as immediate as with in-office bleaching, but with costs averaging around $350, this is a less expensive option. Brush twice a day with a whitening toothpaste and floss daily. Avoid foods and beverages that stain, like wine, tea, coffee, blueberries, and carrots. Keep twice-annual dental cleaning appointments. Avoid drinking too much coffee, tea, and wine, as well as smoking and chewing tobacco. Don’t hesitate to make your smile a top priority. By clicking on the link to the right, you can access Confident® dental discount plans through Careington®, as well as a list of participating dentists, who will whiten your teeth with a savings of 20%.